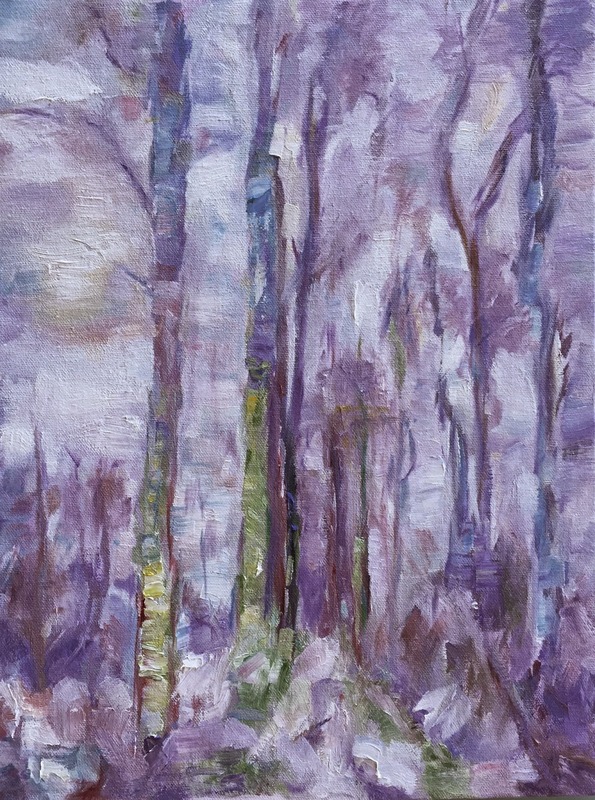 This painting is based upon a painting by Paul Jean Martel, called "Purple Forest." Martel was a post impressionist born in Belgium but later moving to the US. He died in 1944. His works are gaining notoriety in the art world. Interestingly enough, his daughter lives here in Palos Verdes and had the opportunity to meet her. I took a class today offered by local artist, Rodolfo Rivademar. We first visited the exhibit, discussed technique etc. and then set to painting. I really enjoyed doing this painting and felt like I captured the spirit of the original. Purple Forest is rich. All those strokes are appealing and the color mix is wild. The still life in the previous post is fantastic. Glad you are getting paintings done. Living in Hawaii must have agreed with you. #34 "Another Look at Selma's Living Room"